Product code: QQW14 Category: Wedding. 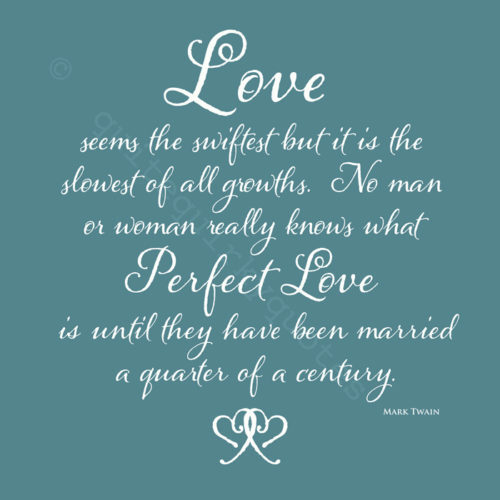 A perfect sentiment for the start of a marriage or equally for an anniversary gift, the quote is one by Mark Twain. On a choice of subtle background colours, the cursive type and images make for a charming print suitable for an engagement, wedding or anniversary. 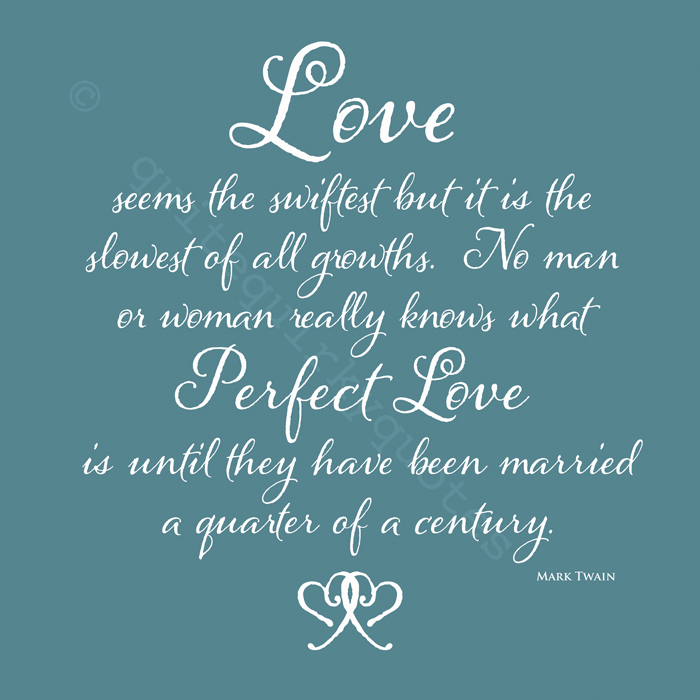 Tags: gift, love, perfect love, wedding art print, words about love.